Kindly tell us your name and were you hail from? Mr vincent can we know who you really are ? Okay basically we can say you are multi talented ? let's talk about your music, How did it started ? Stcurrent: Well it all started 2012 when I finished my waec, But before then I was a music addict but not hip pop....I love listening to gospel songs ,all dis live band. But in 2012 I started writing down songs myself ....but was gospel songs...It got to a time I lost interest in gospel song when I discovered the price of recording a standard gospel and after some times i developed more interest in hip pop....then I used to listen to olamide and bennylee song ...tho bennylee his still and upcoming artiste now but his songs inspired me a lot then. That was how I started a rapper. Stcurrent: Did my first song with a friend Lacekid, Tittled FOLLOW ME its a love song But that day was hell in the studio ...you know the first time....we spent 6hours recording, Honestly twas fun and a lesson. But when the song was out everybody love it but they dont know what I went through recording it 😃. Stcurrent: Well not much .... I have 2 official songs (singles) 2 featuring ....and did the rest for people ...like my home town, school and some for politicians. St.current you said you started music 2012 ..? Why is just 2 singles ...let's minus others ...? Thats sound great anyways, Can you please tell us why you choose to be an entertainer ? Is it because you want be famous ? Or money? Stcurrent: Smile...basically everybody wants to be rich, And me I like money and I want to be famous to be honest. But my priority is to impact with my music tho, and thats why my songs are not currupt. My lyrics are not harsh. But another thing is that i always want to make my parent proud ....and in what way? To be famous and be rich 😃. St.current ...if you won't be a musician what other field would you be? Well I will be a freight forwarder Or a business man. Hmm.... So far ....what are the challenges you encountered as an upcoming artiste? When they invite you ...and you arrived very early , they will still have to delay ur performance just because you are still upcoming. Smile...So far what are the things that keeps encouraging you to continue with the music? The money encouraged me a lot. St.current how do you cope with stage frightening during performance? We saw this on your Instagram page, can you explain what's its all about? Stcurrent: 🤣🤣🤣.... It was just a publicity stunt ....but it didn't went too far as I wanted it to....Thats all I can say about it. What do you do at your leisure hours? Stcurrent: When I am less busy I write stories ....And listen to music, But sometimes if am alone na music I go write because during that time I meditate and hallucinate a lot ...so from it I develop something. So what should we be expecting from you? 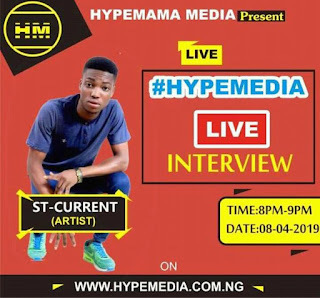 Stcurrent: Yeah...a lot diz year ..I will be dropping a song very soon....alongside a top artiste by God grace. Stcurrent behind every successfully man there is always woman, Tell us little about her? 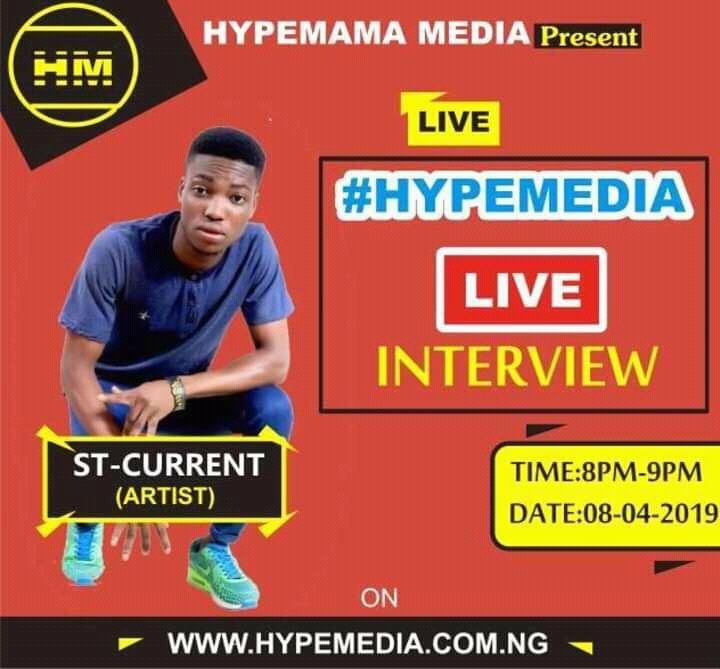 Stcurrent: Well the only woman behind my success is my mother "IYA current" , aside that no other woman for now. Okay o, Finally what do you feel about the industry now and what can be done to put things in place ? Stcurrent: Well for me .....in every field there are always odds. But I will only advise the upcomings who will luckily make it to the top not to ever join them to oppress the coming ones. That's fine, Finally , what do you have to tell your fellow artistes and your fans? 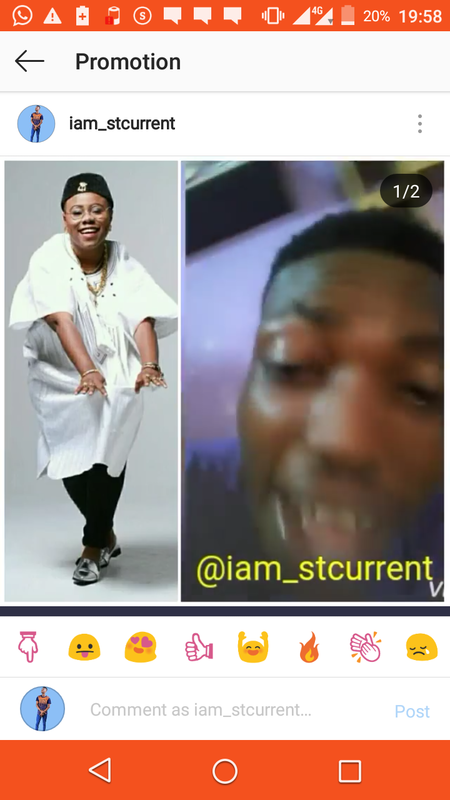 Stcurrent: Firstly to my fellow artiste ....I call us hustlers, Dont hustle on one field...dont rely on music alone, Get something that will fetch you money, And never engage in internet fraud ....that's not part of the hustle o. My families please keep supporting the boy.... Though I have been on low key... But trust me I am trying to hustle for money first so we can push ourself big. 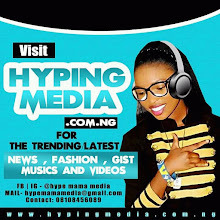 And finally thanks to HYPE mama Media for this great avenue. God bless us all.